As enjoyable as it is seeing summer flowers in bloom, and as lovely as the smell of freshly cut grass may be for some, for allergy sufferers it can be the start of hiding itchy eyes behind sunglasses and avoiding opening windows to prevent pollen getting into the home. With about 1 in 5 people in the UK suffering from hayfever and other airborne allergies, it’s not an issue to be sneezed at. So if, like me, you suffer during the summer months, check out my top tips to keeping allergies at bay. Regularly cleaning your home and washing linen and fabrics which can house dust is key, but don't forget to turn on the extractor fan when cooking to help reduce grease and steam in the air, where they are likely to linger. As opening windows in the warmer months may seem off-putting to hayfever sufferers, air purifiers are a great way to filter the air in your home. For a simple air cleaner to catch large dust particles, the Dimplex DXPUR80 is ideal. And Dimplex’s DXAPV3 Viro3 Air Purifier is at the forefront of the war against allergens like dust and pollen. The active carbon HEPA filter is specially designed to capture ultra-fine dust particles and pollen, whilst the Viro3 plasma generator technology neutralises harmful impurities, to help keep the air in your home clean and you breathing easier. During the summer, pets are likely to spend more time outdoors, where pollen and other allergy triggers can stick to their fur coats. This means an increase in the pollen and dander floating around your home and in the air. Make sure you bathe and groom your pets regularly and wash their bedding in hot water to keep allergens at bay. Mould and mildew thrive in humid areas, so it’s important to keep the moisture and humidity level in your home below 50 per cent. Crucially, mould is also another known culprit to the strife of the allergy sufferer. Using a dehumidifier can help control the moisture build up at home; reducing the humidity of a room and bringing it back to a safe and comfortable level. 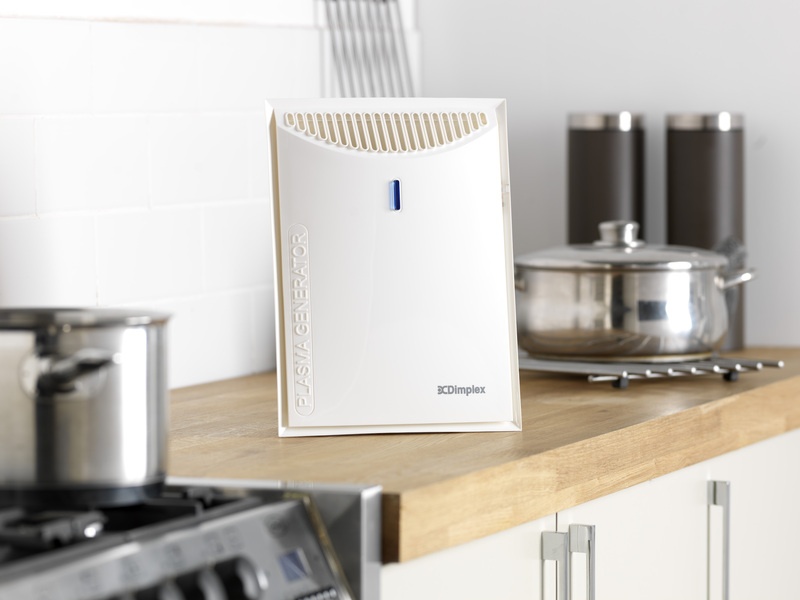 Dimplex’s Ultra Compact Dehumidifier is a small but powerful dehumidifier providing 10 litre extraction in 24 hours. And as this model is on average 10cm smaller than most other dehumidifiers, with an auto shut-off setting once the room has reached its optimum level, it is a neat and stylish solution for any home.